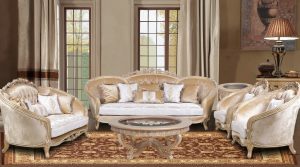 Hariston reclining sectional is a well designed piece of furniture. It comes in top grain leather wherever body touches and leather match on sides and outside back. Memory foam seat cushions, Leggett and Platt lay flat reclining mechanism, back cushion layering, storage space, and amazing color complement the overall premium construction. Leather with leather match. Top grain leather is used on the seats, inside backs and top of arms where body touches. Leather match is used on outside arms, outside backs and bottom edge. Leggett and Platt Lay Flat Mechanism with a maximum durability of 350 lbs. The world’s first Leggett and Platt near “Lay Flat” sleeping position recliner mechanism that has the most horizontal layout in Full-Recline on the market.